Nutrient deficiencies, such as low iron, calcium, magnesium, iodine, and zinc, are surprisingly common – regardless of what diet someone may be following. There are several reasons for this. Usually it is because insufficient nutrients are consumed – either by too little food overall, or an imbalance of nutrients, or lack of nutrient-rich plant foods. Unfortunately the quality of food nowadays is not what it used to be either. 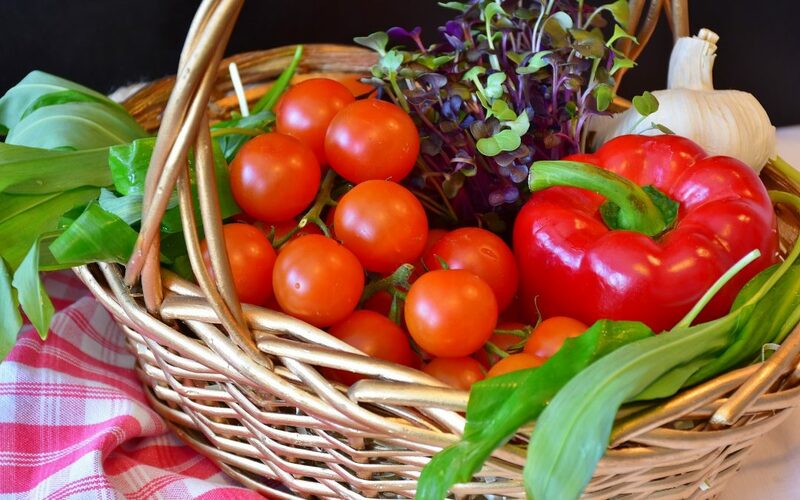 Due to intensive agriculture, soil depletion of nutrients is a major issue, and has much to do with why deficiencies are now almost to a point ‘normal’ – even in people who consume a high amount of fresh and organic produce. So sadly it seems that taking one or two supplements to support our health appears to be an unavoidable necessity. Probably the most frequent deficiency I see in new clients and help them to resolve quickly is that of magnesium. Common signs include fatigue, weakness, anxiety, depression, insomnia, and muscle cramps and twitches (especially twitching eyelids). For every client who has come to me experiencing these symptoms, there is not one who hasn’t felt noticeable benefits almost immediately after commencing an appropriately formulated magnesium supplement; even if they had already been eating a high amount of magnesium-rich foods. Magnesium deficiency is also something which has been linked to many major health conditions, including asthma, osteoporosis, and even cancer. So it is definitely NOT anything to be ignored. Something important to note too, is that there is extensive medical research highlighting that ‘normal’ blood tests for magnesium (and many other things), does not exclude deficiency. This is because a serum blood test can show a normal level, despite depleted body stores. Therefore a more holistic approach is much more helpful when dealing with nutrient deficiencies, as it is for all health issues. So with holistic health assessment in mind, an excellent way of determining what possible deficiencies someone may have, is to consider any food cravings they are experiencing. Ones to note in particular are those for spicy foods, chocolate, and salt. These foods are high in certain nutrients, so craving them is usually the body telling us what we need to put into balance. Therefore regarding chocolate and salt, let’s clear a couple of things up. Firstly, a good quality dairy-free dark chocolate (preferably raw cacao), is perfectly fine in small amounts. It is packed full of antioxidants and nutrients, and has definite health benefits (regardless what we are taught to believe!). Also, despite there being a huge war on salt nowadays, it is important to remember that salt is ESSENTIAL for life. Salt not only contains magnesium, but also calcium, potassium, and iodine. Salt is vital for the function of our liver, kidneys, adrenal glands, and much more. So going salt-free and cutting this crucial compound out of our diets can actually cause more harm than good. What is important though, is the TYPE of salt we eat. I cover this and many other food and health topics in my one-to-one nutrition coaching (available via online, or in person on the Sunshine Coast). As well as the most obvious issue of not eating enough nutrients, there is also another huge contributing factor in nutritional deficiencies to be aware of, and that is whether the body is actually absorbing the nutrients being eaten. There are things we can consume which can have a massive impact on absorption of nutrients, and two of these are caffeine and alcohol. Both have been linked to depletion of magnesium, calcium, iron, and B vitamins – especially vitamin B6, which plays a vital role in not only our physical health, but also our psychological health. Disappointingly, almost daily I see ‘health’ and ‘diet’ advice and programs recommending the consumption of lots of tea or coffee, when all this is going to do is help someone develop serious health problems – which can take years to come back from, and even cause permanent damage. Another very clear example of this malabsorption issue causing nutrient deficiencies, is when the body has to digest meat and dairy products, which it basically struggles to do. As a result, this often leads to a lack of absorption of important nutrients from the plant foods also being eaten. I have seen many cases of deficiencies resolving once somebody swaps an animal-foods diet for a plants-only diet – even when someone had been eating a so-called ‘healthy’ animal-food diet beforehand. This includes myself! In my pre-vegan days, I followed a diet which was commonly thought of as the optimal diet for health – recommended in fitness and health nutritional studies, and by the majority of those meant to be specialists in the field of nutrition (e.g. dieticians and naturopaths). To clarify, this was an animal-foods based diet, which also included a large amount of fresh vegetables and other whole-foods (with almost everything organic), and all in the recommended macronutrient ratios. Despite this, I still had several deficiencies. Miraculously though, incredible improvements with these occurred in a matter of weeks once I swapped the animal foods in my diet for plant options. Even though I had already come to the realisation a plants-only diet was very healthy, my making the switch to a vegan lifestyle was specifically for ethical reasons, so these results I experienced were definitely a wonderful and surprising bonus I had not expected (particularly as I thought my nutrition had already been excellent!). As someone who has had to live with long-term health conditions too, I am very pleased I discovered an important factor in making their management easier, and as a result I am also able to assist others with achieving an even better quality of life as well. Regarding the consumption of animal products, as well as this contributing to nutrient deficiencies because our gut has difficulty breaking down animal flesh and other animal foods, there is the issue of the acidity and inflammation they cause, and quite simply what they do to the body. For example, although dairy is high in calcium, our body has to neutralise dairy’s acidity, and this process actually depletes our body’s calcium stores – by robbing calcium from our bones. So a plants-only diet is clearly healthier than eating animal products, and can often automatically prevent/resolve deficiencies. There are still some important things to remember too though when following a plants-only diet to ensure we obtain the best possible nutrient intake from our food. Obviously these include consuming enough food, as well as sufficient amounts of particular nutrients (e.g. vitamin B12). There is also a malabsorption issue which can happen though when certain plant foods are repeatedly not prepared correctly, or are not combined with particular other foods in the best way. This is an extremely important factor to know about with our food regarding nutrient deficiencies, but sadly it is often something people are unaware of, or do not take into sufficient consideration with their meals – and that is the issue of eating high phytate foods. Therefore I thought I would have a look at this topic in my next article. So to learn about which family of foods these high phytate foods are, and how you can prepare your meals to ensure nutrient absorption issues do not arise, make sure you pop back soon.